Table Group - The best restaurants in Lisbon. 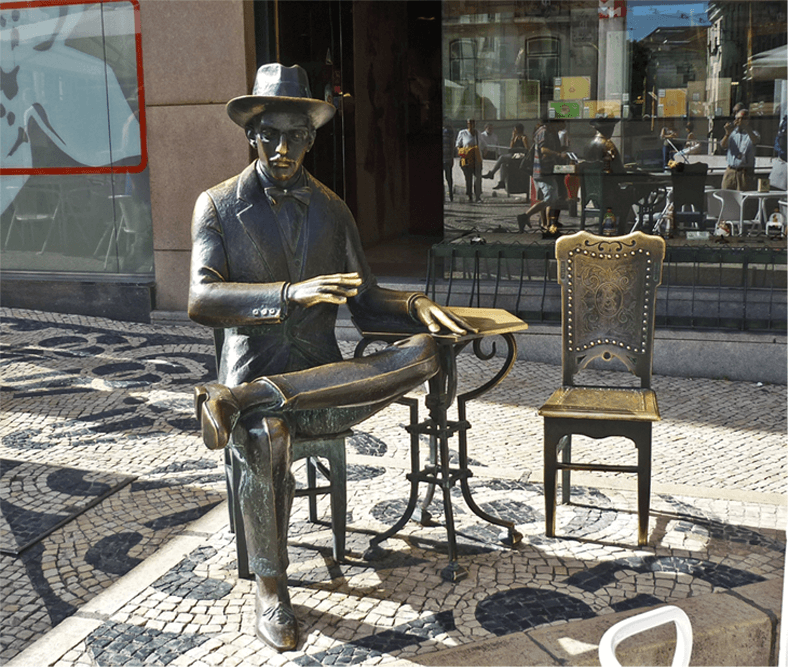 The statue of Fernando Pessoa, in the Chiado, is a mandatory national attraction for those who visit Lisbon. The Chiado is one of the most emblematic areas of Lisbon, with several gastronomical and leisure attractions. 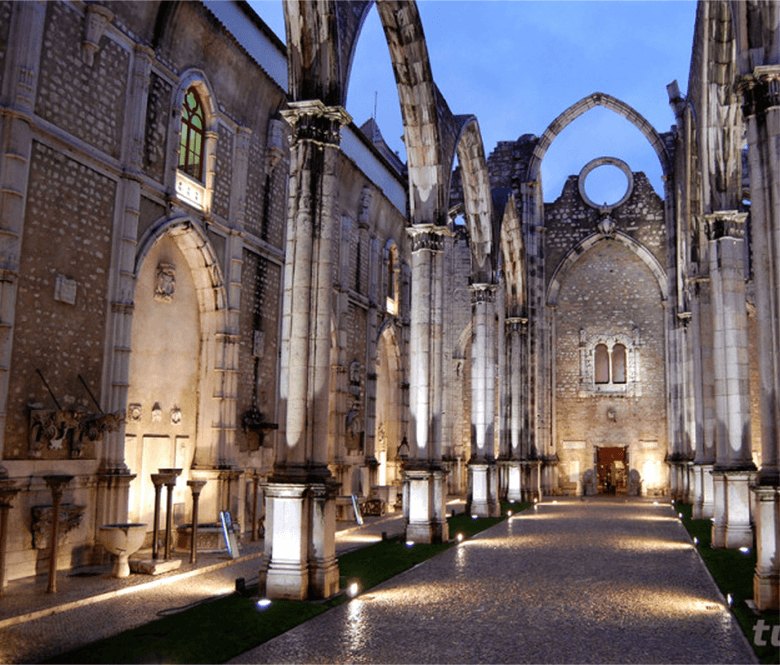 The ruins of the Carmo Convent are a result of the enigmatic earthquake of 1755 and bear witness to the gothic architecture of the XIV century. Facing its magnificent façade, the well-known Carmo Fountain located in an attractive square, unveils itself. 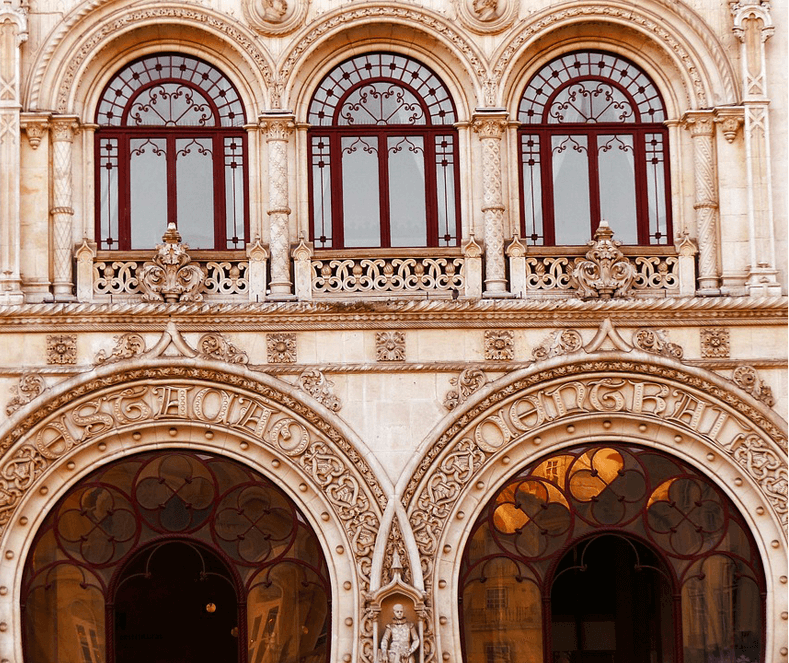 The Rossio Station is one of the places of great interest in the Capital, either because of its architecture or because of its easy access to other places of interest. Even though the construction dates back to 1890, its enchanting beauty continues to mesmerize whoever passes by. This national heritage icon, built in the 11th century, is a place of interest for both Portuguese and foreigners. 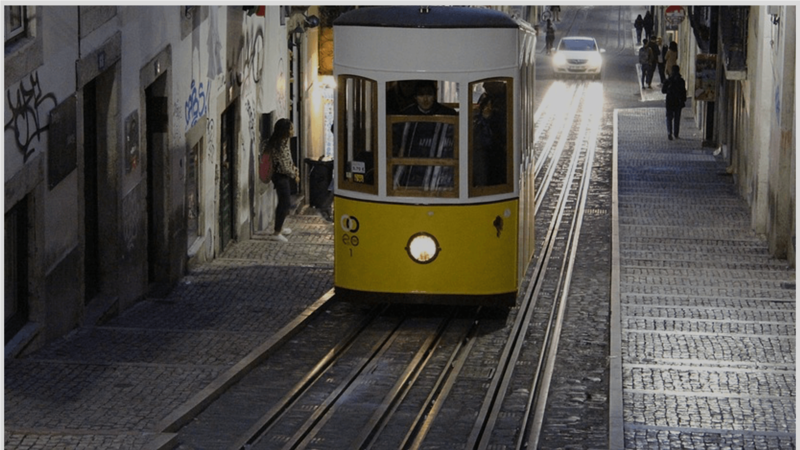 An exhibition on the history of Lisbon is permanently available, as well as the Archaeological Site where archaeological remains can be explored and, finally, the Darkroom where you can discover some magnificent views of the city. 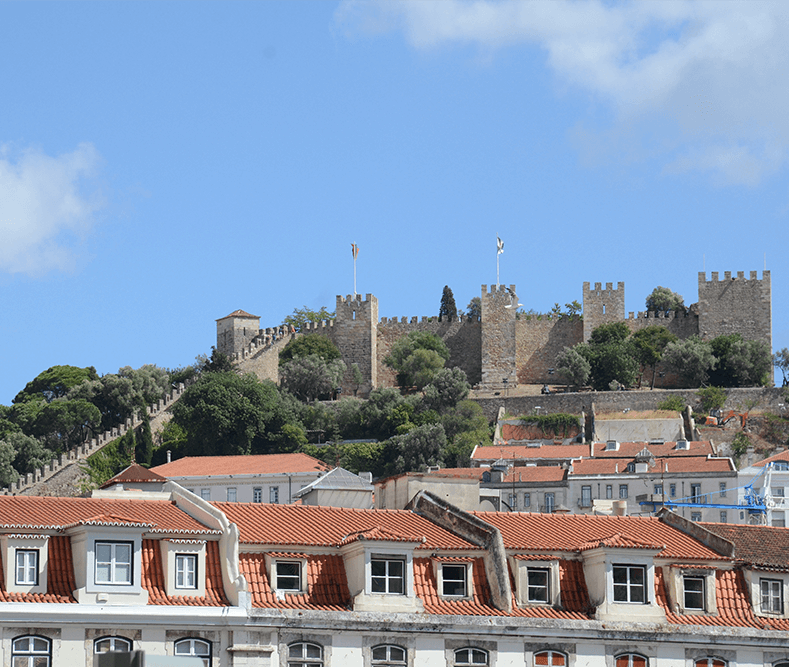 A place full of history and activities with a direct view over the four corners of the city of Lisbon. 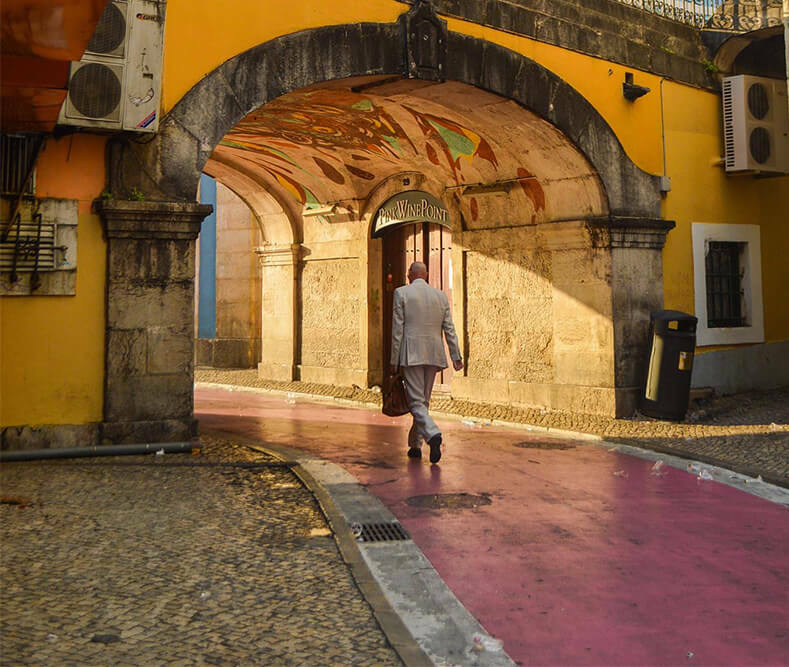 This area of Cais do Sodré, is recognizable by the presence of a street with pink painted asphalt and by its several night entertainment options. Voted as one of the 12 favorite streets by the New York Times. 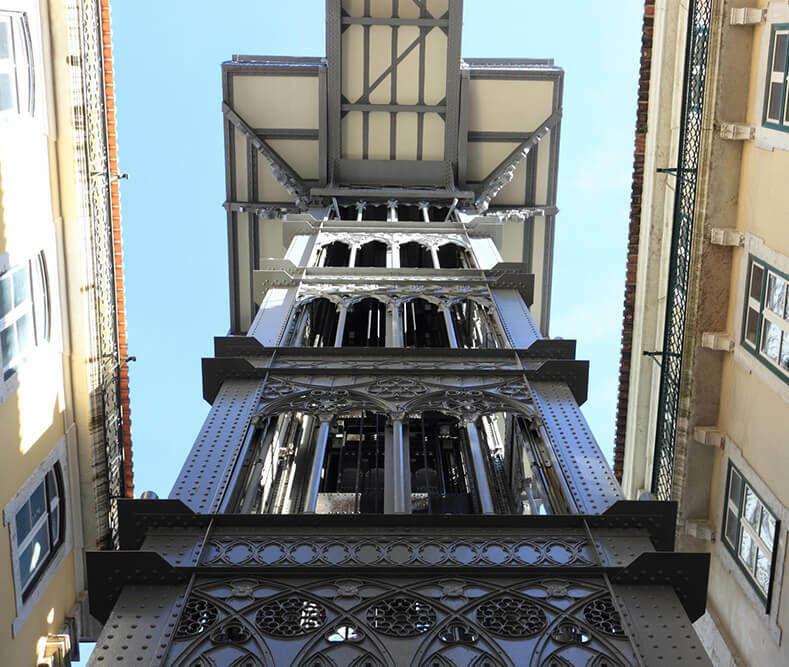 One of the main attractions to visit in the capital, with a capacity for 29 passengers, the Santa Justa Elevator is located in the heart of Lisbon. Dare to experience this trip and tell us how it went.